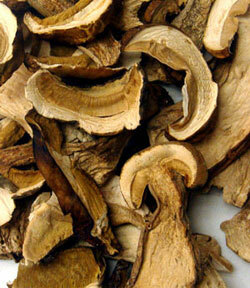 Porcini mushrooms, also known as Boletus edulis, are versatile, flavorful mushrooms with a distinct aroma. They have a reddish brown exterior, and a smooth, creamy texture that works well in many dishes. * = Foods that are an “excellent source” of a particular nutrient provide 20% or more of the Recommended Daily Value. Foods that are a “good source” of a particular nutrient provide between 10 and 20% of the Recommended Daily Value.